I grew up in Farnborough so I know the local area and the roads really well. This means I can take all my pupils on a variety of roads to help them build up their confidence. 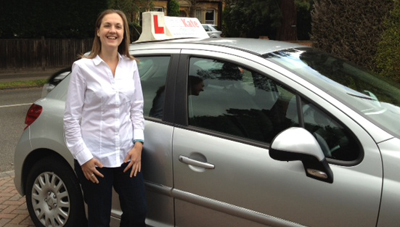 I’ve been an Approved Driving Instructor since 2007 which may not be as long as some of the other instructors out there but it means the coaching methods I use are the most up to date. I’ve been a grade 6 Approved Driving Instructor since November 2011 and I’m also Fleet qualified so I can coach company car drivers too. I always try to put my pupils at ease in the car by creating a relaxed atmosphere. Learning to drive can be scary so if I’m relaxed my pupils are too which means they are safer on the roads. This also makes learning to drive more fun, we all take things in more if we are enjoying it! If you’d like to hear from some of my pupils why not go to the testimonials page or recent passes page.